Sandra (Conrad) Morse, age 80 years, of Beverly, passed away on Friday, January 25, 2019 at Ledgewood Rehabilitation . Se was the beloved wife of Reuben Morse . 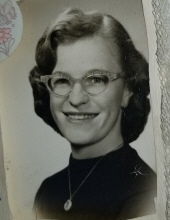 Born in Beverly, dear daughter of the late Kenneth L. and Mary E. (Lorrialee) Morse.Raised in Beverly and graduating from Beverly High School with class of 1961. Mrs. Morse was self-employed for many years with Tupperware Home Parties in successful Sales Management position where she was well thought of and earned many accolades including a trip with Rube to Porta V Arta which they totally enjoyed. It was during this time that Sandra decided to continue her education and was one of the early graduated of NSCC with a degree in Psychology and then went on to graduate from Leslie College earning a Bachelors degree in Social Work. This training landed her employment with the ARC (Association Retarded Citizens) of Danvers which allowed her to follow her passion to help enrich the lives of those with disabilities. She became very involved with the Fragile X Association (a common form of Retardation) and through her personal experience with two sons of her own, was ableto offer educated experience offer personal advice and support and help connect parents to available resources. In recent years she became very active in the Beverly Senior Center enjoying their many activities, trips and comradery especially spoke fondly of "the girls in her knitting group"! She was devoted to caring for her family and seeing to their many needs and happiness. She will be greatly missed by her boys and many friends. Sandra was one of seven siblings Predeceased by older brothers, Kenneth L Conrad, Arthur J Conrad, and Douglas S Conrad. Surviving are a sister Ruth Earley of Peabody, brother Richard Conrad and his wife of Ipswich, and sister Marianne and her husband Attorney George Vallis of Danvers. There are two step sons, Charles Morse and his family in Florida and Richard Morse and his family of Topsfield. There are many grandchildren and now great grandchildren all of which gave her great joy. To send flowers or a remembrance gift to the family of Sandra B. Morse, please visit our Tribute Store. "Email Address" would like to share the life celebration of Sandra B. Morse. Click on the "link" to go to share a favorite memory or leave a condolence message for the family.